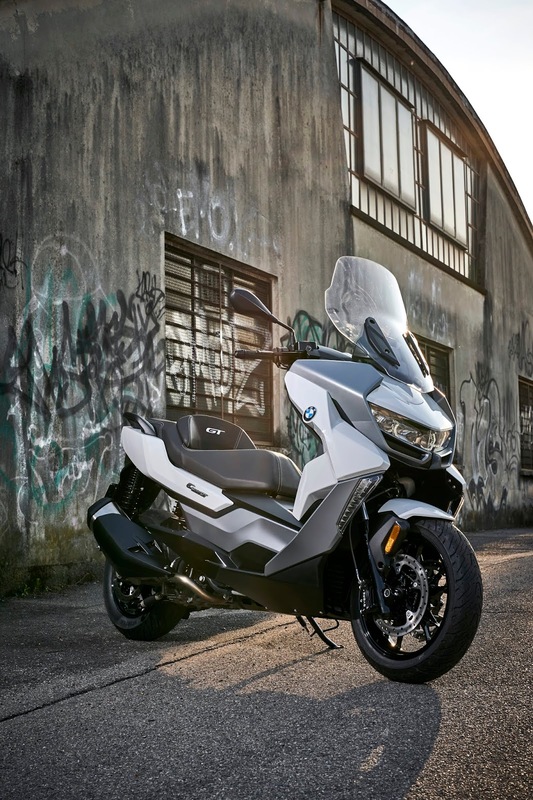 BMW has unveiled the C 400 GT, the Gran Turismo variant of the C 400 mid-size scooter made for further increased comfort and enhanced touring capability. With features like LED lighting technology, a modern, innovative design at hand and attractive finishes, The C 400 GT surely stands as one to desire. Passenger footboards instead of separate footrests. Seat with separate rider backrest. LED daytime riding light as option. Increased wind and weather protection and sophisticated ergonomics. 25 kW (34 hp) at 7 500 rpm and 35 Nm at 6 000 rpm. 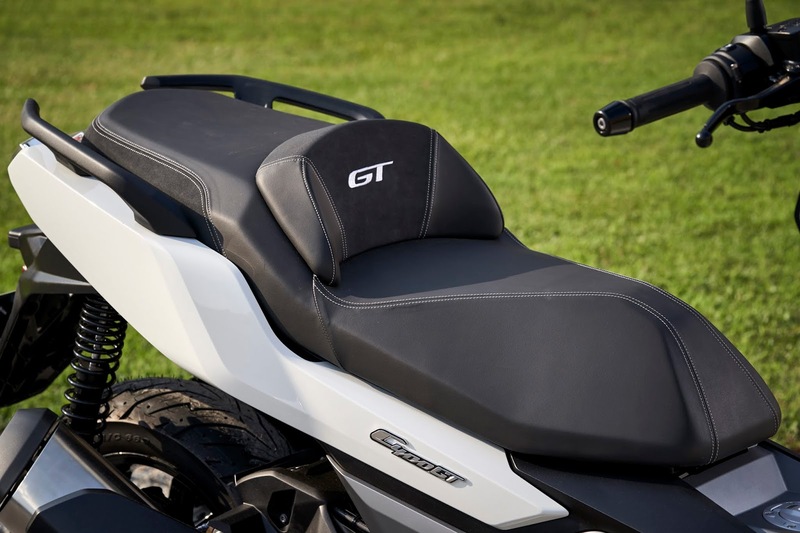 Like the C 400 X model, the Gran Turismo (GT) version is fitted with a rugged tubular space frame made of steel. 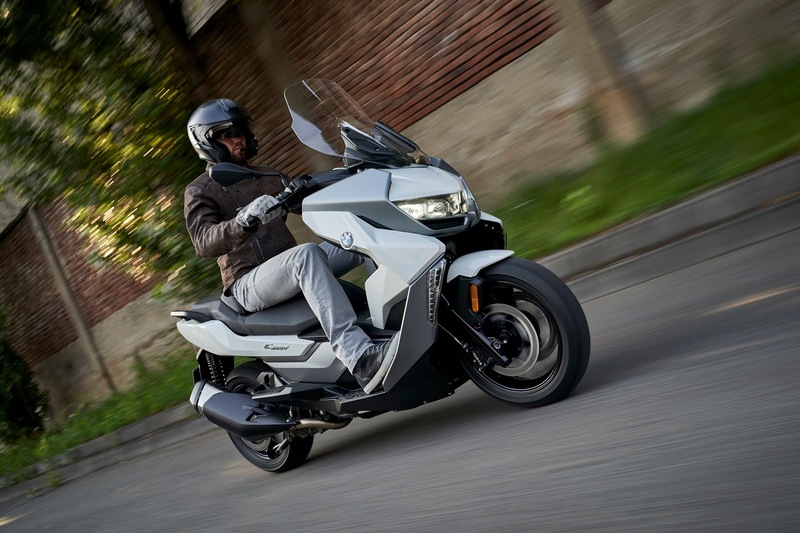 Its telescopic fork takes care suspension and damping while its set-up and spring travel feature enable for a sporty, dynamic riding fun merged with a high level of comfort. 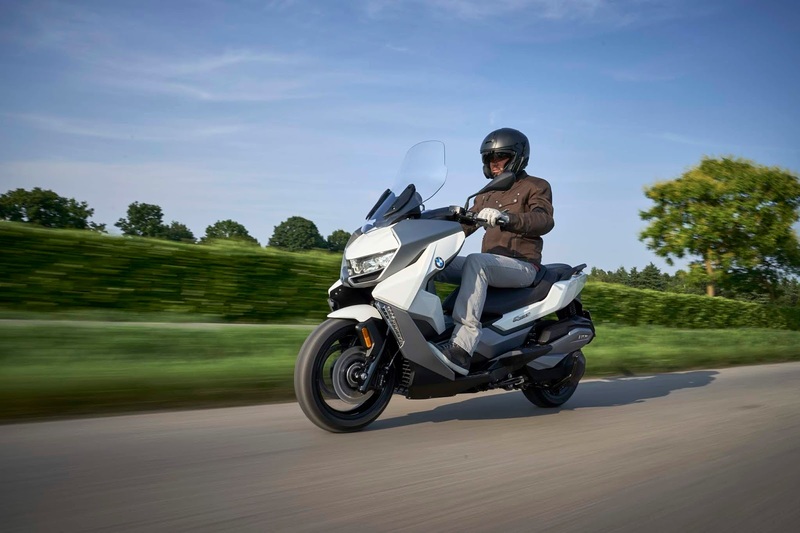 It's powered by the efficiency optimized single-cylinder engine with an output of 34 hp (25 kW) also used in the C 400 X. 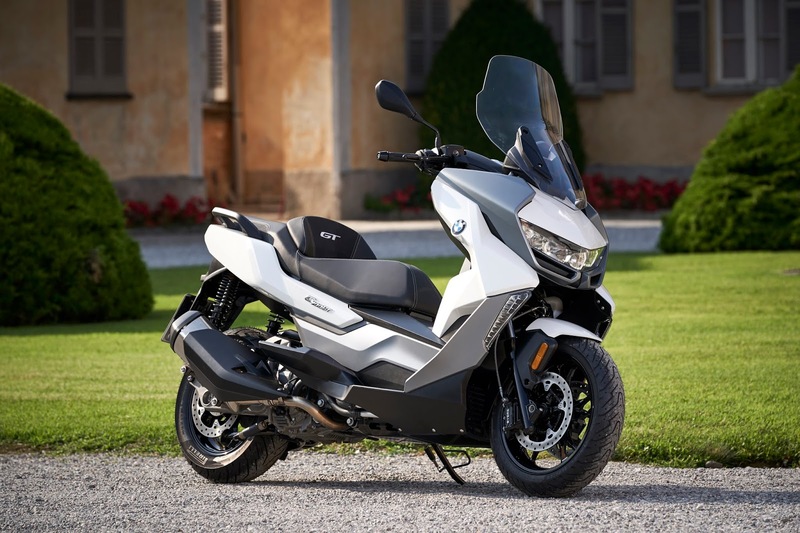 Power transmission is done via a CVT (Continuously Variable Transmission) gearbox and a torsionally stiff drivetrain swing arm with innovative bearing for minimum vibration and therefore maximum comfort. It's Automatic Stability Control (ASC) feature also ensures increased safety during acceleration, especially on slippery surfaces. 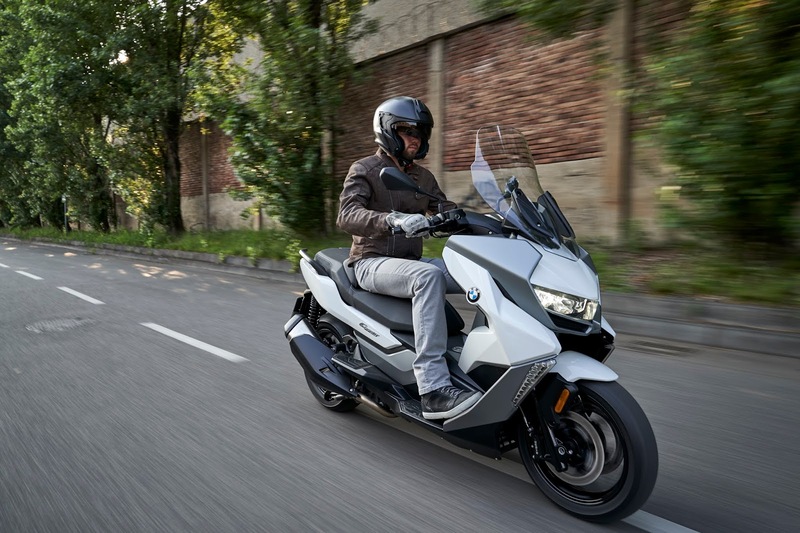 It terms of styling, it's easily identified as a member of the BMW Motorrad C family, being functional in appeal and bearing the look of always being ready for urban cruising. Viewed from the front, the aerodynamically designed twin LED headlight with the distinctive design of the LED daytime running light (country-specific) in the form of fibre optic elements takes the highlight and merges this with a smooth and very organically designed body element for a stunning look. 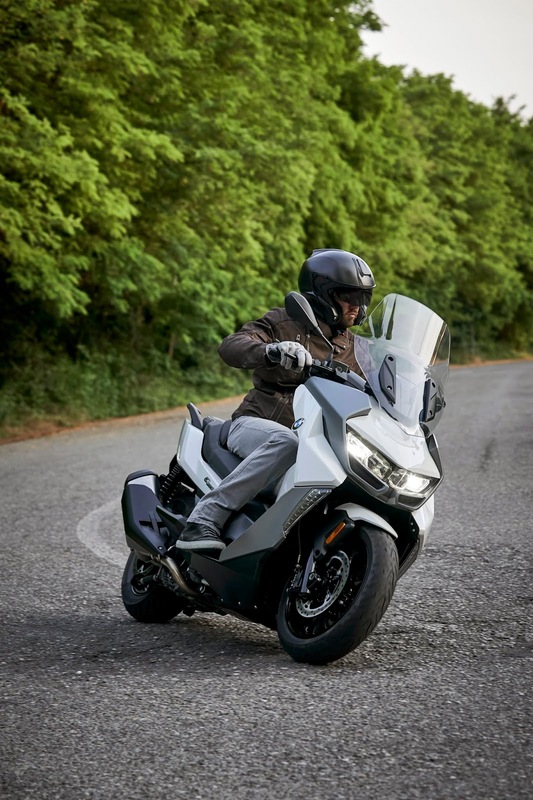 It features more enhanced wind and weather protection due to a higher windshield than in the C 400 X and as well a storage concept comprising of two glove compartments and a flexcase located under the more comfortable and single-section seat than in the C 400 X. It'as also fitted with Keyless Ride as standard for a more comfortable ride among other unique specs.